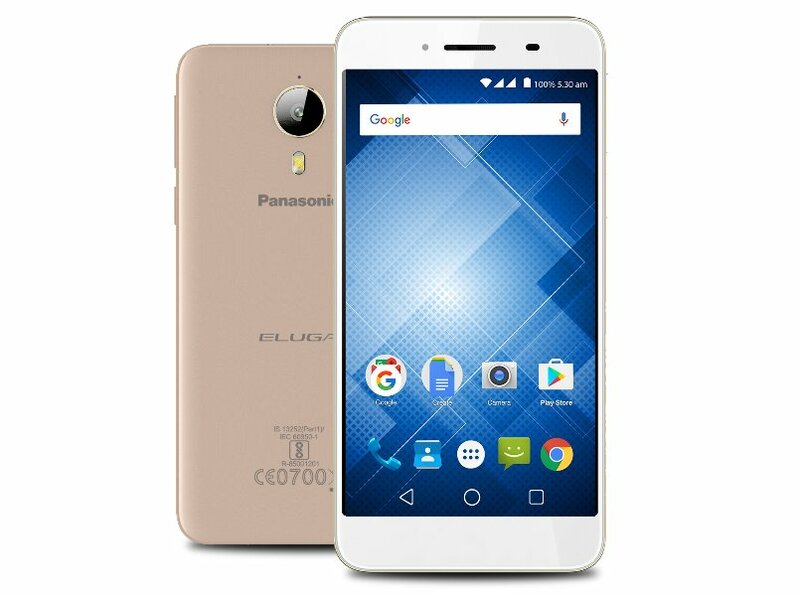 Panasonic had listed a new smartphone on its official website, under the Eluga series. The smartphone in question is the Eluga I3 Mega, and it has been officially launched today. The smartphone is priced at Rs 11,490 and is currently available across all Panasonic authorized dealer outlets. The Eluga I3 Mega is essentially succeeding the Eluga I3 launched in India last April. The smartphone comes with some considerable upgrades over its predecessor. The color options available for the Eluga I3 Mega include Champagne Gold and Silver. Design wise, the Eluga I3 Mega flaunts a full metal body. The smartphone lacks a physical home button and comes with on-screen navigation buttons. The power button and volume rocker are placed on the right side of the smartphone with the circular rear camera lens visible at the top center. The Panasonic Eluga I3 Mega features a 5.5-inch HD IPS display with 2.5D curved glass on top. Under the hood is a 1.3GHz quad-core processor. In terms of memory, the Eluga I3 Mega comes with 3GB of RAM and 16GB of onboard storage which is further upgradable up to 128GB via a microSD card. In the photography department, the smartphone sports a 13-megapixel rear auto-focus camera with 80-degree wide angle. Up front, the smartphone houses a 5-megapixel front-facing camera. Keeping the smartphone ticking is a 4,000mAh battery. On the software front, it runs on Android 6.0 Marshmallow with Android-For-Work Security. The connectivity options available on the Eluga I3 Mega are dual-SIM support, 4G LTE with VoLTE support, OTG support, Bluetooth 4.0 and Wi-Fi. The Eluga I3 Mega with its pricing puts itself at a competitive segment in the Indian smartphone market. Taking its specifications and price into consideration, the Eluga I3 Mega would face tough competition from Xiaomi’s Redmi Note 4 and the Coolpad Cool 1. The Redmi Note 4 priced at Rs 10,999, and features a 5.5-inch Full HD display. The smartphone comes with 3GB RAM, 32GB onboard storage, and is powered by Qualcomm’s Snapdragon 625 octa-core processor. For photography, the Redmi Note 4 sports a 13-megapixel rear camera and a 5-megapixel front-facing camera. The smartphone is fuelled by a 4,100mAh battery and runs on Android 6.0.1 Marshmallow with MIUI 8 on top. As for the Coolpad Cool 1, the smartphone is also priced at Rs 10,999 and features a 5.5-inch Full HD display with Corning’s Gorilla Glass protection. Under its hood, runs Qualcomm’s Snapdragon 652 octa-core processor. The smartphone packs 3GB of RAM, 32GB onboard storage but lacks SD card presence for expandable storage. Camera specs include dual 13-megapixel rear cameras and an 8-megapixel front-facing camera. The smartphone runs on Android 6.0 Marshmallow with EUI 5.6, and uses a 4,000mAh battery for power. Current time: 04-22-2019, 11:29 PM Powered By MyBB, © 2002-2019 MyBB Group.